SUNY Adirondack’s culinary arts program will serve lunch every Wednesday and Thursday from Oct. 4 through Dec. 14 at the Culinary Arts Center. The public is invited to attend the meals, which are served in a casual setting. All lunch services start at noon, and seating is available at noon, 12:15 p.m., 12:30 p.m. and 12:45 p.m. The cost is $13.95, including tax. Each lunch is a three-course gourmet meal, featuring an appetizer, entree, dessert and beverages, including soda, tea or coffee. 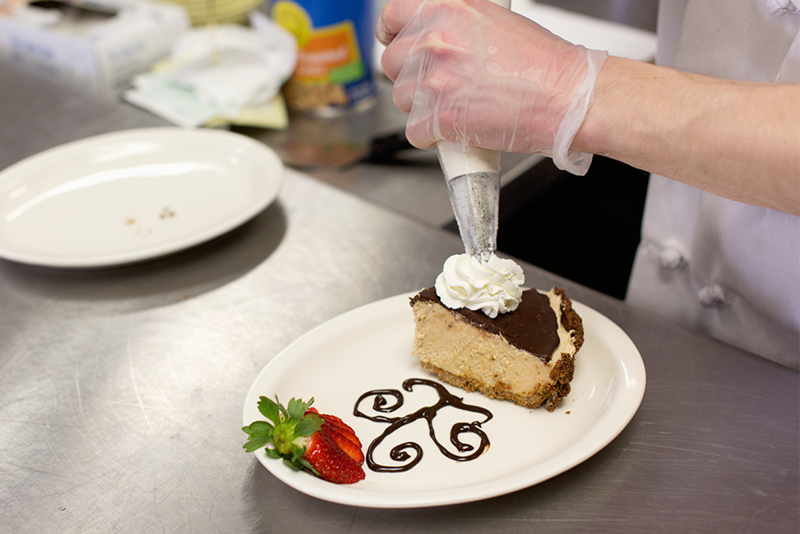 The lunches are organized and prepared by students in SUNY Adirondack’s advanced culinary course, which introduces theories and procedures of healthy recipe and menu modification. Students design each meal menu following nutritional guidelines established by the American Heart Association. Reservations are preferred. Call 518.832.7725 or email culinary@sunyacc.edu. Lunch will not be served on Nov. 22 or 23. The SUNY Adirondack Culinary Arts Center is at 410 Bay Road, just south of the Queensbury campus.